Shithead Crispy TreatsÔ can be ziplocked and mailed in a first class USA Mail Bag, and will arrive at their destination able to put a smile on the face of their recipients. This tried and true method of sharing the glory of shithead is cost effective, efficent, and patronizes the US Postal Service. 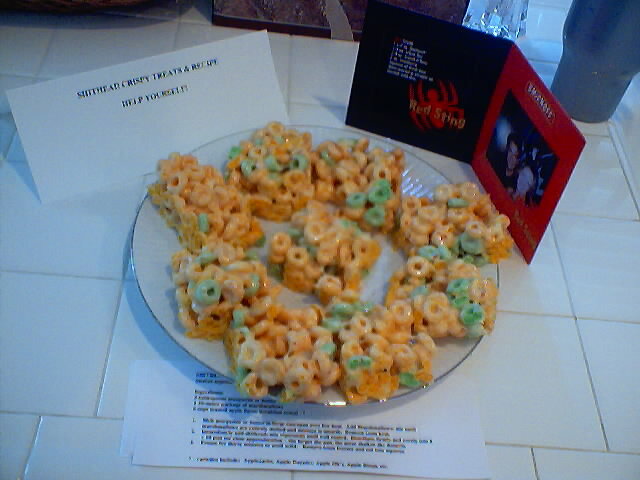 At a recent open house, a homeowner kindly left a plate of Shithead Crispy TreatsÔ with 9 copies of the recipe for shithead. A clearly visible placecard sign read "Shithead Crisy TreatsÔ and Recipe - Help Yourself." 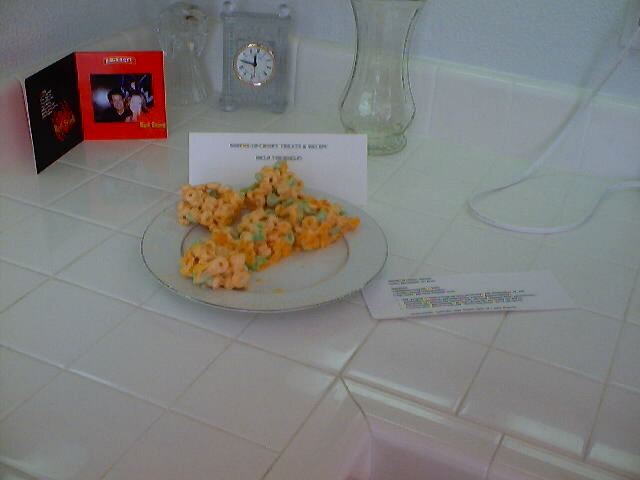 At the end of the open house, the Shithead Crispy TreatsÔ were half gone, and three of the recipes had been taken as well. As the sagest of all shitheads once simply stated: "Teach a man to eat shithead and you've quenched his soul's desire for a day. Teach him a recipe and he will also become a shithead apostle."